The Commissioner for Peace and Security for the African Union, Smail Chergui, Wednesday afternoon started a two-day visit in Burundi amidst the east African country’s threat to withdraw its peacekeepers from Somalia. Upon landing at Bujumbura International Airport, the senior AU official was welcomed by three Burundian ministers including Foreign Affairs Minister Alain Aime Nyamitwe, Defense Minister Emmanuel Ntahomvukiye and Security Minister Alain Guillaume Bunyoni. Chergui then visited Mpanda cemetery, 12km west of the Burundian capital Bujumbura where he paid tribute to peacekeepers who were killed while serving in the African Peacekeeping Mission in Somalia (AMISOM). Those who died on the battle field in Somalia include Major General Juvenal Niyoyunguruza, former deputy-commander of the AMISOM, killed on Sept. 17, 2009 in a suicide attack in the Somali capital Mogadishu. “Somali officials and citizens commend the work of Burundian troops serving in the AMISOM. A senior Somali official wrote on Twitter, saying that Somali people will never forget achievements of Burundian peacekeepers,” Nyamitwe said. During his visit, Chergui is expected to meet with Burundian President Pierre Nkurunziza and human rights observers and AU military experts. 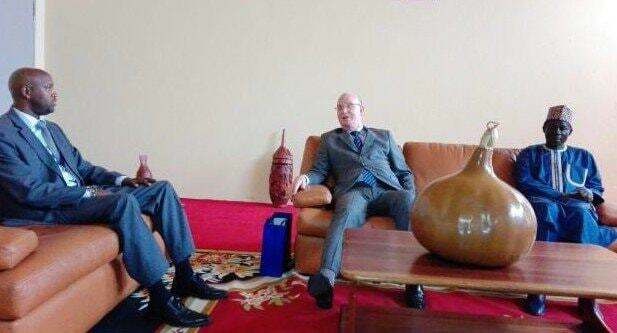 Chergui’s visit happens at a time when Burundian First Vice-President Gaston Sindimwo earlier this week announced the pullout of Burundian troops serving in the AMISOM over failure by the AU to pay Burundian troops. Sindimwo was referring to a letter from the office of President Nkurunziza that recommended the Ministry of External Relations and International Cooperation to get in touch with the AU Commission and inform it about the violation of the memorandum of understanding linking the AU to Burundi. 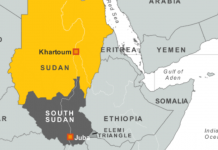 The east African country’s foreign ministry was recommended to inform the AU of an “imminent pullout an immediate return” of Burundian troops and equipment from Somalia. The Burundian contingent of the AMISOM has not been paid for about 12 months. In his message to the nation at the New Year’s Day, Nkurunziza said that the Burundian government was going to sue the AU over unpaid salaries for Burundian troops serving in the AMISOM. Since 2007, Burundi has sent six battalions, comprising of about 5,500 troops into Somalia to restore security in that country where al-Shabaab terrorists are active. Following the outbreak of Burundi’s crisis in April 2015 with Nkurunziza bidding and winning a controversial third term, some army and police officers were sent to lead peacekeeping missions in Somalia and the Central African Republic, but were refused for their alleged involvement in violent repression during demonstrations against Nkurunziza’s third term bid.